Across the country, our metropolitan areas are suffering from major transit crisis because of service cuts and fare hikes. Thousands of transit workers are out of work, and hundreds of thousands are being denied access to work, school, and a better way of life. Starting on April 20, leaders around the country will be taking action to preserve mass transit from recent funding cuts. We will be standing together to demand emergency funding for transit operating. Click here for the latest media advisory on the actions. Take Action Online for S. 3189: Call and email your Senators today. Senator Sherrod Brown has introduced a bill that will serve as a provision to allow up to 30-50% of transit funding to be allocated for operating expenses. The bill would provide hundreds of millions of dollars to avoid service cuts and fare hikes, and to preserve and protect transit jobs in America. Please, urge your Senators to co-sponsor S. 3189. Organizations who recognize that public transportation is a social justice issue are taking out full page advertisements in their local newspapers urging their Senators and Members of Congress to stand up for federal operating assistance for public transit projects. Use this template. 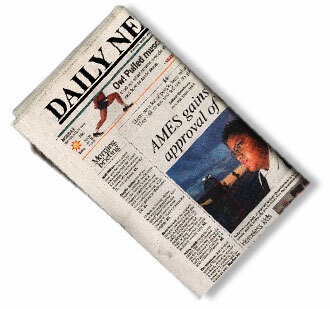 Use this this planning document for your media outreach work in advance of actions. Using this media advisory as a template, you can send a press statement to your local paper raising the issue of transit cuts and what can be done both at the local and national levels. This 2009 report from Transportation for America and the Transportation Equity Network documented the devastation of transit cuts and fare increases on America’s communities. 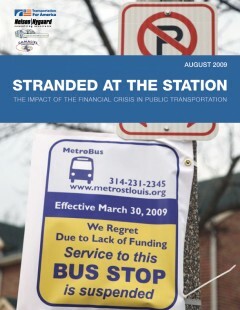 Stranded at the Station: The Impact of the Financial Crisis in Public Transportation was our first systematic analysis of the conundrum faced by communities and their transit systems: Historic ridership and levels of demand for service, coupled with the worst funding crisis in decades.